*Price is based on two person sharing a room. Still looking where you can spend the upcoming holidays? Look no more! The Anahita Golf and Spa Resort once again has come up with a 10% discount applicable on all Junior Suites and all Prestige Suites for the holiday seasons. Located on the East coast of Mauritius, the Anahita is known for its luxury accommodations and breathtaking views. With two beaches at the Anahita Golf and Spa Resort and at the Ile aux Cerfs, two Golf Courses with international recommendations, five restaurants, and even more to discover, it has all one need to have the perfect vacation on an island. Resident of the Anahita will benefit of a free round of golf per day per person at either the Anahita, Four Seasons or the Ile aux Cerfs. Both 18 hole Golf Courses are at international and championship level and designed by great names of the game. The opportunity to play on either a Bernhard Langer or Ernie Els design is not to be missed. Price starts as from € 3,315 per person* for a minimum of 7 nights. Do not miss the opportunity to book for this special treat! Whether you are coming by two or six, we guarantee you will spend the most memorable holiday. 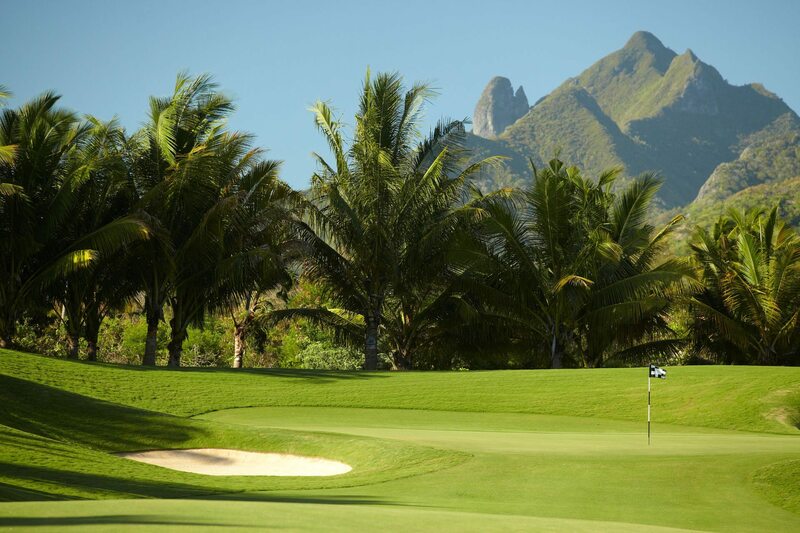 The Four Seasons at Anahita was designed by Ernie Els.